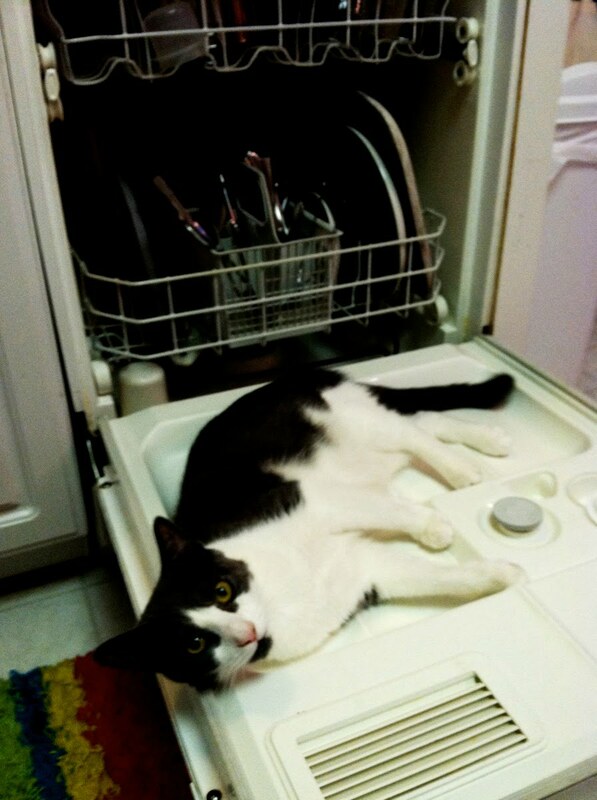 Recently we've been finding the door to the dishwasher open. Apparently somebody figured out how to open it and has a new spot. how cute! This looks like something my cats would do!